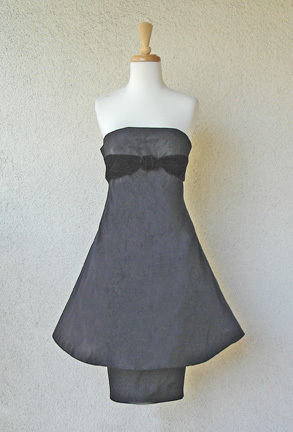 Madame Gres circa 1950's strapless sculptural silhouette fashioned of black silk taffeta. Empire style bodice adorned with velvet bow detail and extending into a long triangular dress with separate extending longer underskirt. 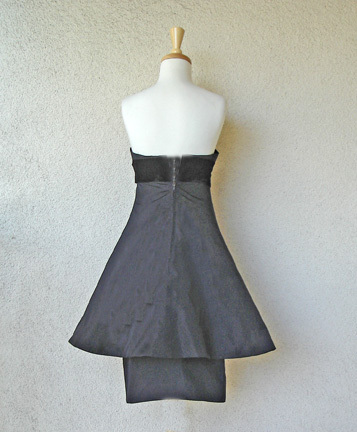 Interior metal boned bodice; overskirt double backed; double zipper back closures. 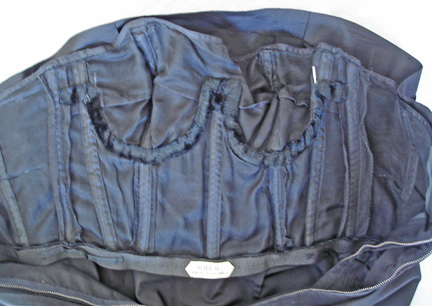 Bust: to 31-32"; waist: 28"; hips: 36"; length: 34"
Condition: excellent; good wearable condition; narrow underskirt shows some signs of hips being taken in and let out. Does not show as it is covered by the overskirt. 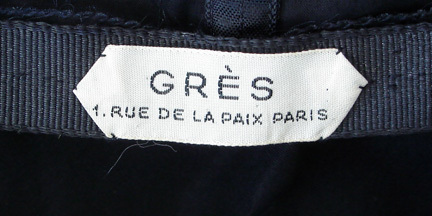 Black velvet has some marks on fabric possibly from pressing not that obvious but should be mentioned.